Redemption! What an amazing feeling to have our two newest treasures FREE from captivity, in our arms, on the path to help and healing!!! 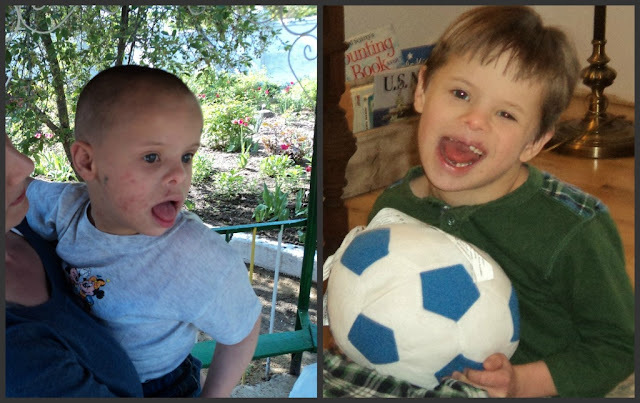 As we are flying home with two tiny boys, who shouldn't be the size of infants when they're almost 7 YEARS old, I wanted to share with you precious photos of redemption. 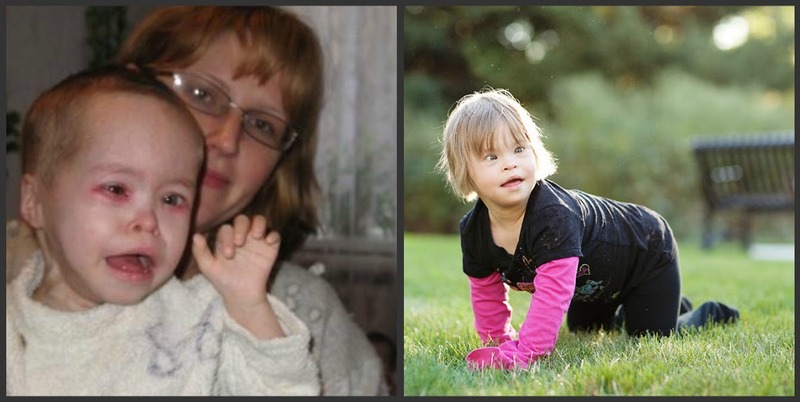 Many of these children (photos below) are from Ukraine, many have Down syndrome. I have no doubt that Conner and Cooper both will follow in the footsteps of what you see below, with all glory to God, our Jehovah Rapha. From Adeye: I am so excited to share today's post with you. For the last week I have been bringing to your attention a situation which, very sadly, is not spoken of very often--a situation which, I'm sure, has broken your hearts as much as it breaks mine each and every time a dire situation such as one of these is brought to my attention. Sometimes there truly are no words. The pictures are terribly hard to look at! The images leave us feeling so desperate to do something--anything--to help. Very soon I will share ways that you and I can do just that...do something! The least of the least of these! These are worth a million! This is Dusty. Adopted from the same orphanage as our girls just nine months ago--weighing just 20 pounds when he came home and was admitted straight into hospital for malnutrition. Today, only ten months later, Dusty weighs over 30 pounds! I have been so blessed to meet Dusty in person, and to watch him develop and grow. He is a little miracle boy for sure. Meet sweet Gabe. Home for just eight months! Weighing just 21 pounds at six years old when adopted. He was left in a crib his entire life. He only took his food pureed from a bottle, hated touch, and could hardly sit up on his own. Weak and malnourished, he needed to be rescued! Today...a healthy, blossoming, growing boy who loves life! And beautiful Carrington. Adopted in March 2011 and taken directly from the airport to the hospital. Carrington was nothing but skin and bones--weighing only ten pounds when she came home. Doctors told the family that Carrington's organs had already started shutting down and she had just 24 hours of life left in her. But God...! Just look what He did! Today, almost one year after coming home, Carrington is healthy and thriving--weighing in at 27 pounds. Glory to God in the highest! Another little miracle. And darling little Belle. Adopted at almost three years old and weighing only 15 pounds. Belle knew nothing but a life confined to a crib...until her family heard the call and said, "Here we are, Lord! Send us!" 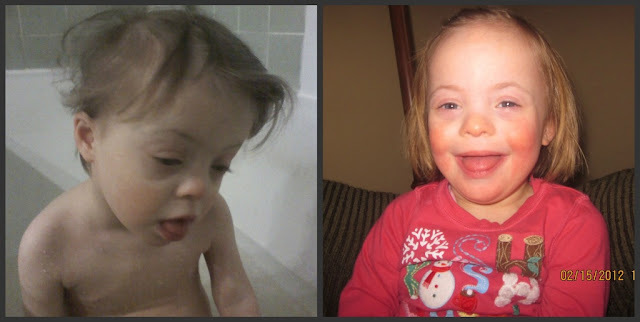 Today...just 13 months later she is a happy, healthy little toddler who weighs 26 pounds. I know that so many of you followed Katie's amazing journey home. Sweet, little, teeny-tiny Katie. Rescued just three months ago--hanging on by a thread in a faraway orphanage. God had big plans for this angel! Katie also went straight from the airport to the hospital--weighing a measly 10 pounds 9 ounces at nine years old! Oh, but just LOOK what a difference family makes! Today...Katie is doing incredibly well. She is a healthy weight for her height and is growing before her family's eyes. She now weighs nearly 23 pounds! What an absolute JOY Katie is to her family! Ah, handsome boy! 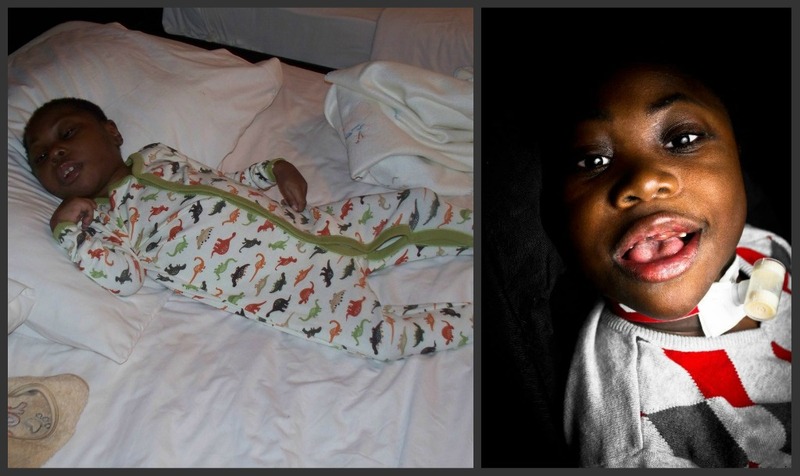 Rescued from Africa two years ago--weighing 15 pounds at five years old-- having seizures, asthma attacks, aspirating on his food, and with zero hope! He received no medical care and was in terrible shape--living on borrowed time, bedridden. But God had plans for this lovie too...and He sent a very special family to rescue him. Today...seven years old and doing so, so well. 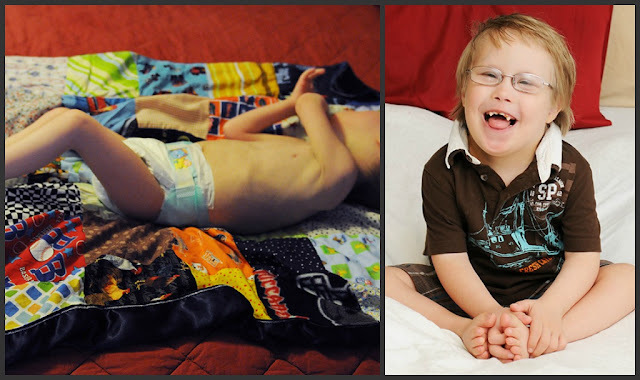 Weighing 43 pounds, he is the light of his parents lives! Redemption. Meet beautiful Kori. Adopted at almost eight years old and weighing in at a mere 16 pounds! Lifeless, sad, circles under her eyes, and in very poor condition. But God could not leave her like that...He knew that her life had purpose and a destiny. And so He reached down from heaven and gave her a miracle....a family to call her own. Today...a picture of health! Healthy, happy and growing in every way. Adorable! This little lovie is Victoria. Adopted only eight months ago. She was tiny, desperately unhappy, and painfully thin. Also confined to a crib and literally starved. 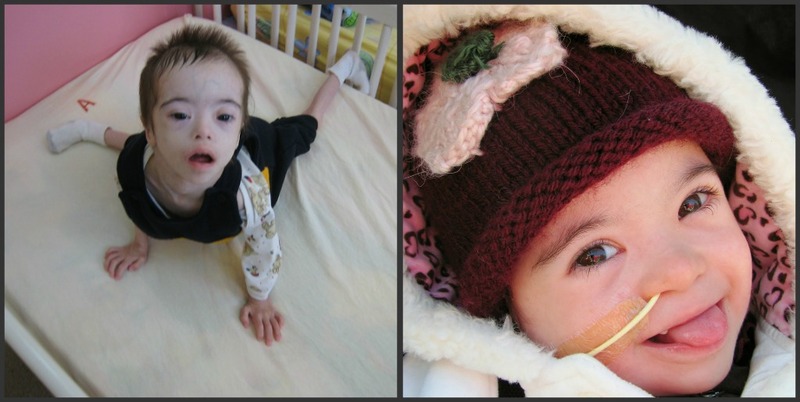 Victoria was another little one who spent her first weeks on U.S soil being treated for malnutrition in the hospital. She only weighed 14 pounds. Today....what a huge difference! Victoria now weighs 26 pounds and hardly even looks like the same child. There is a light in her eyes and she knows she belongs. Oh, my sweet, sweet Julia! How I love this little angel. Julia was the first child I ever advocated for here on my blog. I met Julia in Hailee's laying room in Ukraine. Each day I would go into the room and cry tears as Julia smiled at me through the bars of her crib--lying in a puddle of urine, unable to even sit up, wasting away, languishing. You can read Julia's story here. Diagnosed with a very rare disorder, she needed to be rescued! Today...Julia has been home for 10 months. I have been so blessed to watch this little girl--left lying in a crib 24/7--blossom and grow into all who God has created her to be. 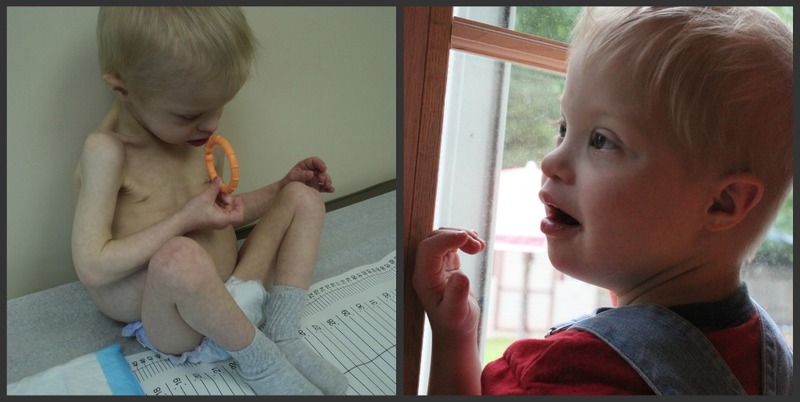 She has gone from a 15-pound little girl who was so malnourished, to a 30-pound beauty in such a short space of time. Julia has astounded us all with how far she has come. Today...all gone! He is healing in every way, is healthy, and is such a delighful little boy. Redemption has come to him too. And then there's one of my best friend's daughter, Lily. I remember standing in the airport just 18 months ago waiting to see Lily come home. 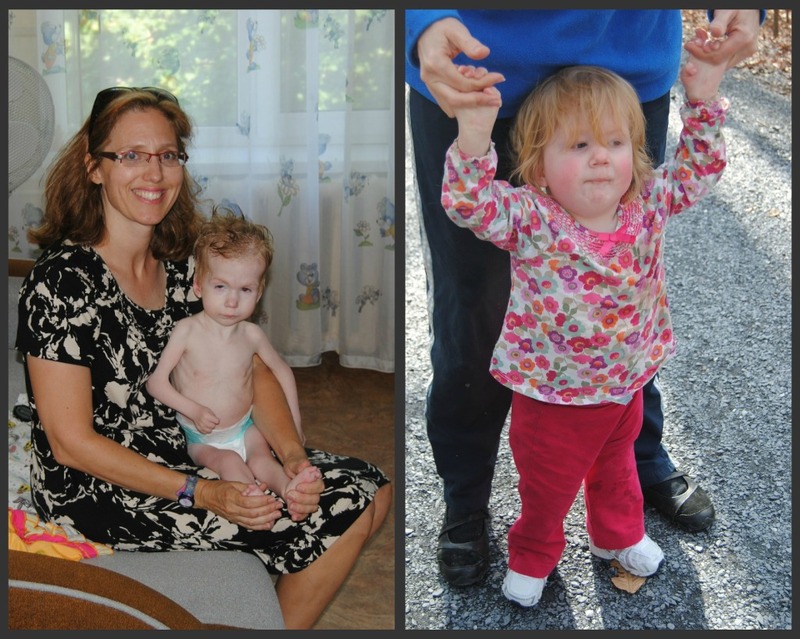 Lily was born with a very complicated and life threatening heart condition. She was given very little hope of survival in her birth country. By the time Rachel and Chris reached Lily, she was blue from lack of oxygen and hanging on for dear life. She too was admitted into the hospital as soon as she got home. Lily is a walking miracle. She has amazed us all with how far she has come. Her heart condition is still very serious, but Lily has been given the best of care from top heart doctors and she is finally at a point in her growth and health where open heart surgery can be done. I know her family would greatly appreciate your prayers as they journey toward Lily's heart surgery soon. How well she has done! And finally, there's our own miracle girl. Adopted 21 months ago. Hailee weighed 14 pounds the day I finally got to her in the orphanage. She was almost five years old. She spent her entire life in a crib--rocking endlessly, biting her fingers, hitting her head on the bars of the crib until the sores bled, grinding her teeth until all that remained were stumps, drugged with an adult tranquilizer to make her sleep, and was fed a diet of only broth. 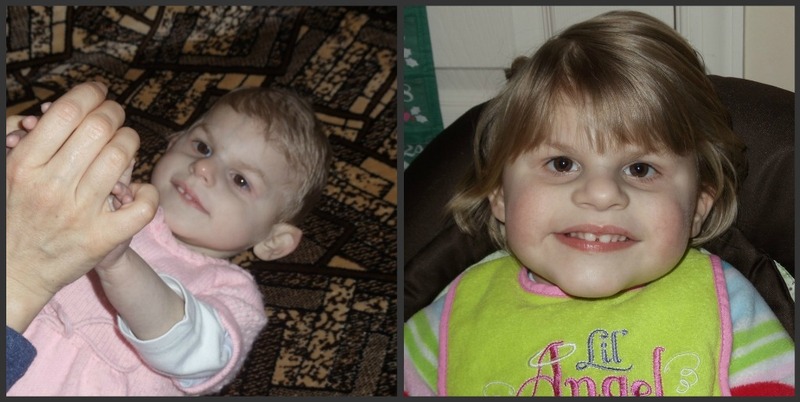 Hailee lived in what's known as a "laying room"--a place for the neediest of special-needs children. Words cannot even describe what a blessing this little lovie has been to our family. As she heads toward her seventh birthday, she is now weighing 27 pounds and is doing well. She is learning, growing, and making us smile each and every day. People often comment on how fortunate Hailee was to be rescued. And yes, she was, for she would surely have died if they had transferred her to a mental institution around her fifth birthday. But the greatest blessing of all has been for US, her family. We simply cannot imagine life without Hailee in it. And so I ask you...is anything impossible for the Lord God Almighty? Anything at all? Is there any life which He cannot redeem and turn into something so wonderful, so glorious? I believe that every single child deserves a family to call their own! Even the ones such as these--the ones so often hidden away in dark places and forgotten about. Each one of these children's lives displays the Father's glory--His ability to reach down from heaven and redeem. 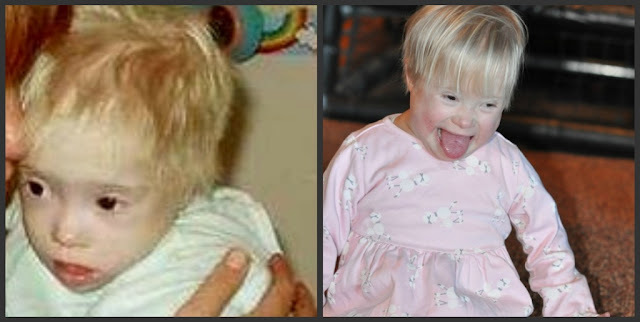 His miracle-working power in their lives is so tangible, so absolutely magnificent. HE IS MIGHTY TO SAVE THE ORPHAN!